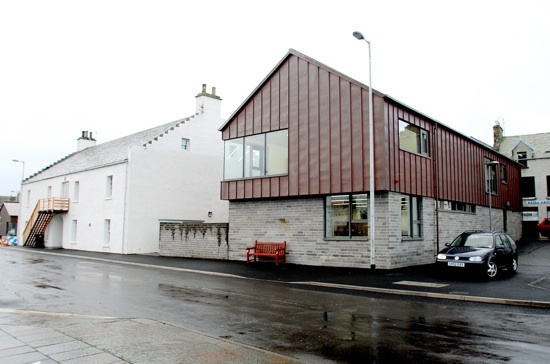 Stromness Library: Stromness Hometown - the launch! 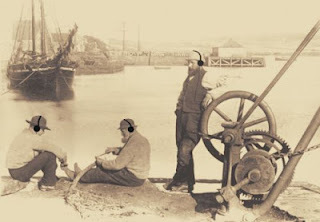 You may remember a post we wrote last July about a new project to create an audio history tour through Stromness? Well the end result of all that hard work by the volunteers and organisers of the Stromness Hometown project has been launched to the public today at the Stromness Museum. Material for the audio tour has come from interviews recorded with Stromness folk, as well as archive recordings from our friends at the Orkney Archive, bringing together voices of the past and present. There are eight stops on the tour, which runs from The South Pier to The Cannon, with a ten minute audio file to listen to at each stop - you'll be pleased to know there are benches, or convenient resting places at each of the stops! As well as interviews with 'weel kent' Stromness folk there is also music from Stromness Academy pupils, the Wrigley Sisters, and from archive recordings. The audio tour is available on players that can be picked up and dropped back at Stromness Museum and the Pier Arts Centre. You can also download the audio file onto your own device at www.visitorkney.com/stromness, at the museum, the Pier Arts Centre, the visitor centre at the ferry terminal, or even here at the Library! A leaflet with information about the tour has been designed by Stromness resident Cary Welling, with a new map of the town by Stromness artist Diana Leslie - you can download the leaflet/map as a pdf from www.visitorkney.com/stromness/. For more information about the Stromness Hometown project see the article on the All About Orkney website, or visit the project's Facebook page.